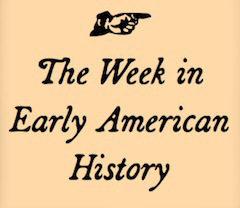 Today’s Founding Fiction post is by Emily Sneff, Research Manager of the Declaration Resources Project at Harvard University. The mission of the Declaration Resources Project is to create innovative and informative resources about the Declaration of Independence. To learn more, follow @declarationres. 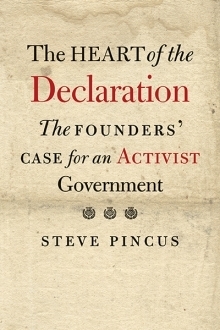 Steve Pincus, The Heart of the Declaration: The Founders’ Case for an Activist Government (New Haven: Yale University Press, 2016). At a time when political events seem to place the very meaning of American democracy under the microscope, it is perhaps unsurprising that so many recent works have looked to re-evaluate the American Founding. Books focusing on the mid-1770s in general have included Kevin Philips’s 1775, Richard Beeman’s Our Lives, Our Fortunes, & Our Sacred Honor, and Joseph Ellis’s American Quartet. Recent books that have looked more specifically at the Declaration of Independence itself include Danielle Allen’s Our Declaration. Robert Parkinson’s The Common Cause, too, has called for a re-evaluation of what motivated those who fought for Independence, though his work calls for a much less celebratory conclusion. Such a list demonstrates the importance of the mid-1770s to America’s national identity. With The Heart of the Declaration, Steven Pincus throws his hat into the ring, too.